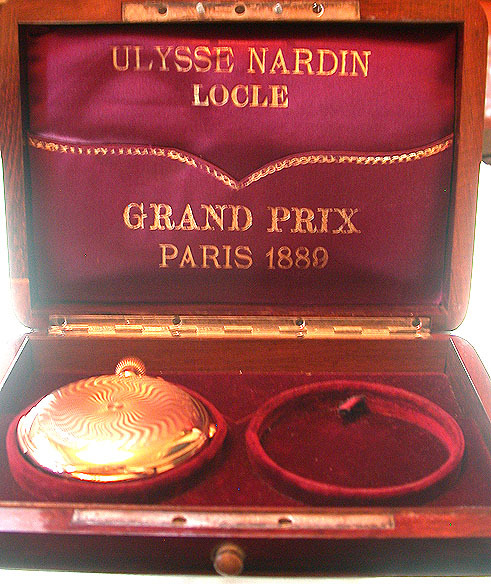 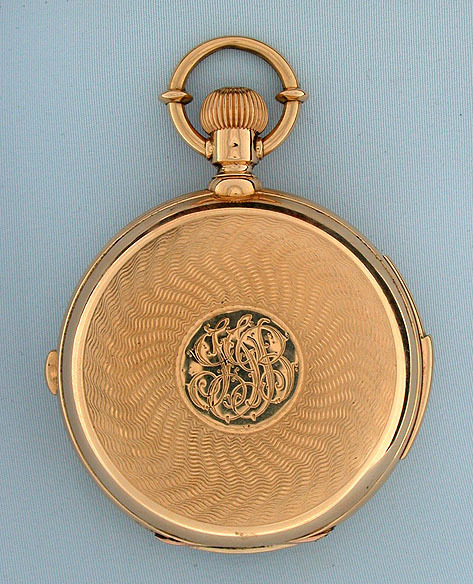 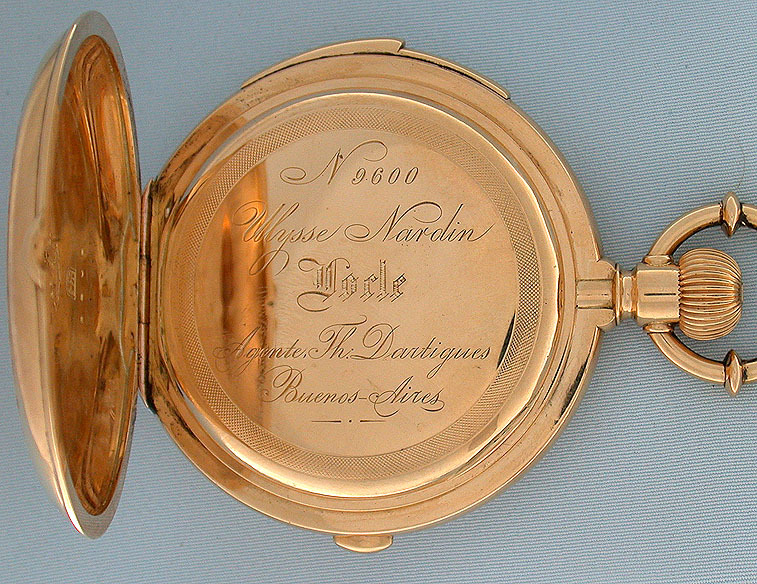 Fine Swiss Ulysse Nardin 18K gold hunting case minute repeater chronograph antique pocket watch with original box circa 1890 Heavy gold case with unusual engine turning design. 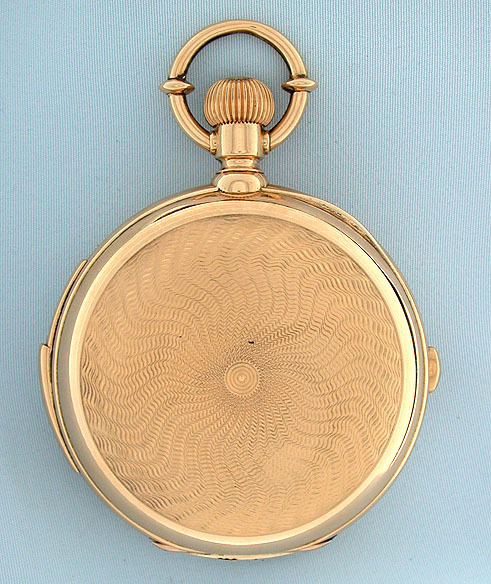 Repeater slide and chronograph buttons in the band. 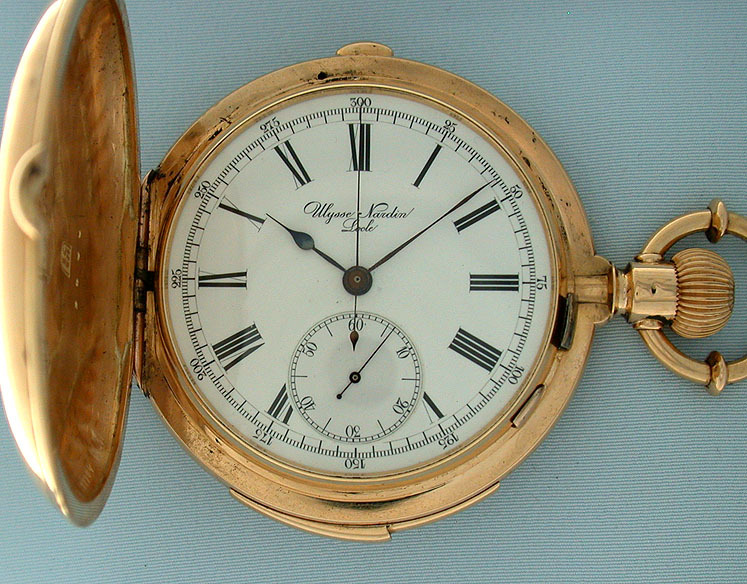 Fine bold white enamel dial with black markings and blued steel hands. 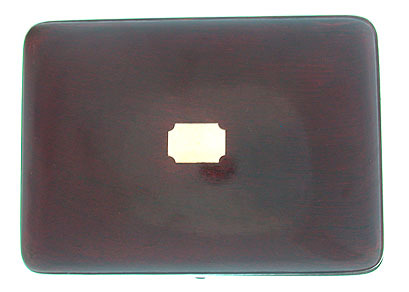 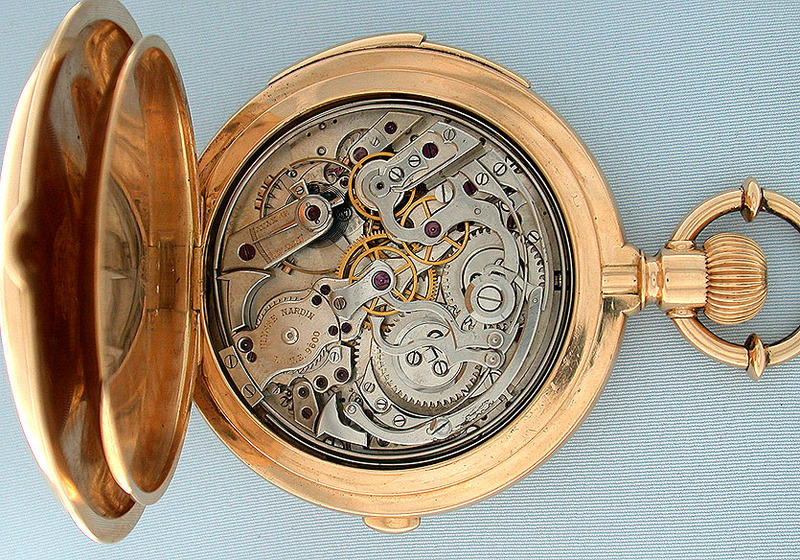 First quality 30 jewel nickel movement jeweled to the center and the hammers and with wolf's tooth winding.